The decision came in the backdrop of Sri Lanka's poor performance in their recently concluded series against India, England and New Zealand. 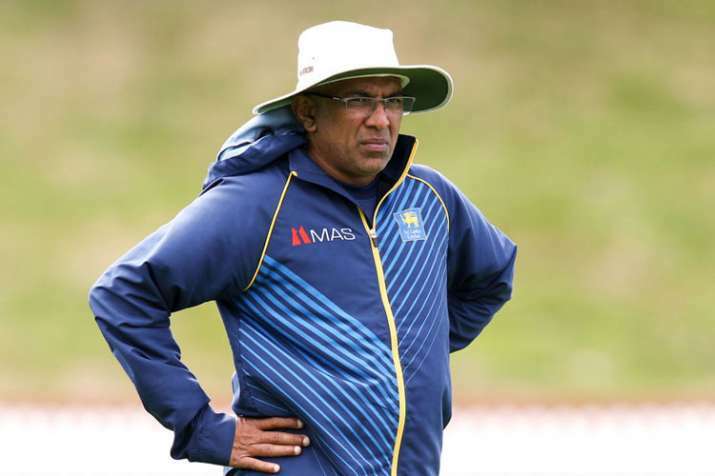 Curtailing the role of coach Chandika Hathurusingha in team selection, Sri Lanka Cricket (SLC) has removed him from the position of selector-on-tour in order to form "an effective and transparent selection mechanism." The decision came in the backdrop of Sri Lanka's poor performance in their recently concluded series against India, England and New Zealand. Sri Lanka have already lost the first of their current two-match Test series against Australia. The playing eleven for Sri Lanka will now be finalized by the team manager and captain in consultation with the national selection committee. "SLC wishes to announce that the team selection; while the team is on tour shall be made by a Committee comprising of Team Manager and Captain in Consultation with the National Selection Committee. The majority decision of the Manager; Captain and members of the Selection Committee shall prevail on any selection made thereof," an SLC statement read. "This decision was taken under the instructions of the Ministry of Sports in consideration of the need to form an effective and transparent selection mechanism; whilst the team is on tour. The directive will come into force with immediate effect," the statement added. After being appointed the head coach of the Sri Lanka cricket team in December 2017, Hathurusingha had asked the board to make him a full-fledged selector like he used to be during his coaching stint with the Bangladesh team. Following the demand, SLC conveyed to Hathurusingha that Sri Lanka's sports law prevents the coach of a national team to simultaneously function as the team selector. However, the compromise was made and Hathurusingha was appointed as the selector-on-tour, ESPNcricinfo reported. The Sri Lankan team manager remained the chairman of selectors as per the SLC constitution but the as a selector-on-tour, Hathurusingha enjoyed some level of control over the team affairs. Under Hathurusingha, Sri Lanka played a total of 42 international matches - losing 24 and winning 14 clashes. Sri Lanka are currently on a tour to Australia for a two-match Test series. While they have lost their opening Test by an innings and 40 runs, the second match will be played from February 1 to 5 at the Manuka Oval.